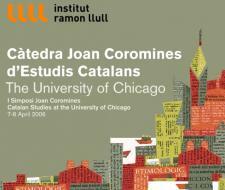 Distributed in over 40 countries in the world, there are over 100 Catalan Communities Abroad. For many years these bodies (cultural centres, associations, etc.) have been the backbone of the associations movement and the promotion and contact with the Catalan-speaking Countries and their culture. Some Cervantes Institutes and Official Schools of Languages in Spain also offer Catalan classes. In Catalonia, the Consortium for Linguistic Normalization offers courses for non-Catalan speakers and linguistic advice for businesses in over 20 centres. In the Balearic Islands, the Institut d’Estudis Baleàrics also offers courses for adults. In the Valencian Country, the Generalitat Valenciana runs Teaching Centres for Adults that also offer courses in Valencian/Catalan. Parla.cat is a virtual online environment that makes it possible to learn Catalan from anywhere in the world. Over 40,000 people have enrolled on the free version of the courses, which has four teaching levels, from basic to sufficiency. The interface is available in Catalan, Spanish, English, French and German. The network represents an ideal platform for gaining access to a quality course for all those people who, for reasons of geography or availability of time, cannot attend classes in person.